NYC is Blue: NYCFC Crest Delayed by "Yankees Trademark Concerns"
NYCFC Crest Delayed by "Yankees Trademark Concerns"
This was supposed to be an important month for New York City FC, including the unveiling of the team's logo and colors. We had been expecting two logo semifinalists to be unveiled for a fan vote last week, but the week came and went without any announcement. And now we know why. Empire of Soccer is reporting that "trademark concerns" from the New York Yankees have caused the delay. As it turns out, plans for their badge reveal hit an unexpected snag. EOS has learned that some in-house legal trouble has delayed the team’s long-awaited campaign. 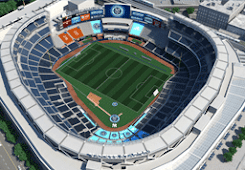 Of the two badges set to be presented to the general public, one failed to get final approval from the Yankee side of the NYCFC ownership due to "infringement of the baseball team's intellectual property." The badges have been designed by two separate sources; one, an outside designer, and the second, an in-house team. Interestingly enough, it was the in-house design that sent up red flags at Yankee legal. 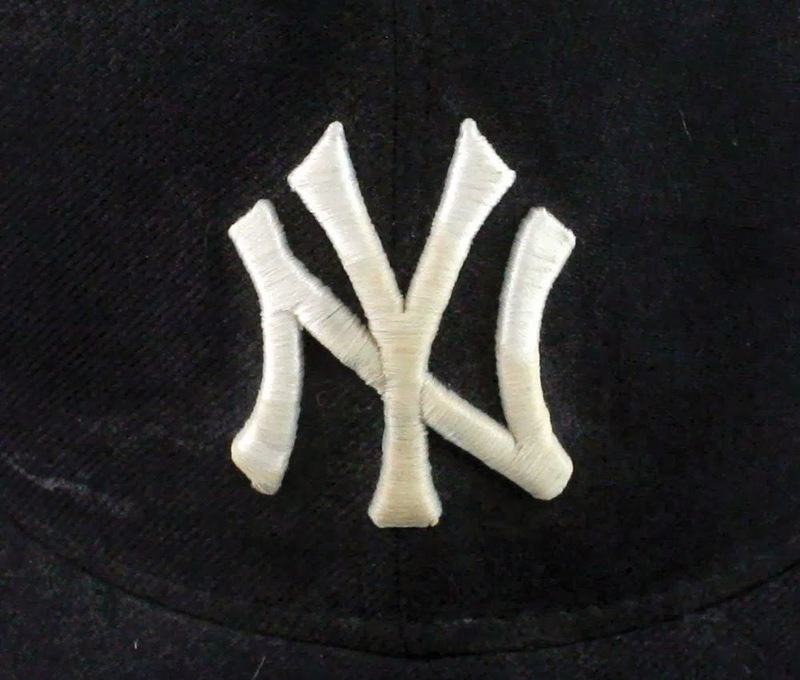 Sources tell us the badge in question fell too close to the trademark design of the Yankee's image, but would not give further detail as to the design flaw itself. The other badge, described as a more "classic" offering, has passed the initial consent of both owners. How long it will take for them to make their way past this latest hurdle is anyone's guess. My first thought is that I wish the club had gotten ahead of this story. They could have issued a one-sentence release on Twitter or their site announcing the delay, and we would all have been okay with it. It's not like we wouldn't notice when their own deadline passed. But looking deeper at the issues involved, I think this development is potentially very good news for NYCFC's brand. And it's potentially very bad news for NYCFC's brand. On the one hand, it's good that the Yankees are involved in the club's process. We hear a lot about Manchester City, but not about the Yanks. And it's especially good news that the proposed logos for NYCFC aren't overly derivative of Man City's. On the other hand, I can't help but think that the sticking point is on an interlocking monogram (a "Yankees"-style script seems much less important). I've written before how crucial I think a monogram logo will be for the club. If that monogram is interlocking, as in this fantastic design by local designer Milo Kowalski, the Yanks might take issue with it. Of course, as every true Yankee fan knows, the Y in their logo sits on top of the N. Kowalkski's design features the reverse. Okay, okay, I know. Too subtle. 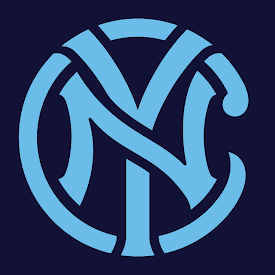 But surely there's a way to make NYCFC's monogram sufficiently distinct so as not to infringe upon the Yankees'. I would hope that the addition of "C" would do the trick, but we don't know. Perhaps the full story will never come out. Perhaps we'll never see the proposed logos that caused this delay. 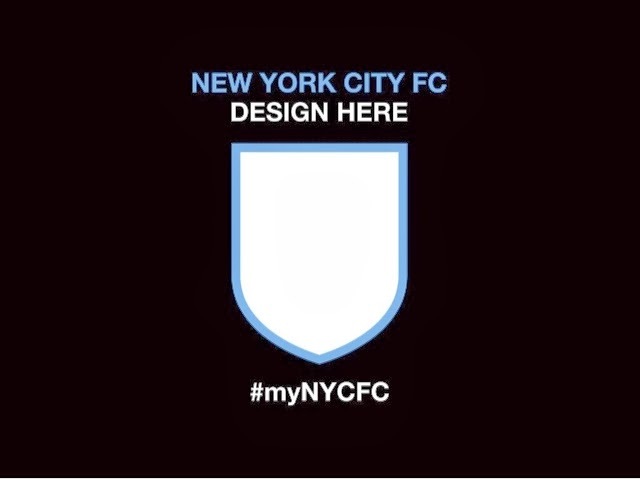 I'm just hoping that they can find a way to serve the interest of New York City FC and its corporate owners. The Mets logo is an interlocking NY as well. Either way, I'm not all that bothered by any of this. We've got a year to get this right. Take your time. I agree that a unique crest is a good thing, but infringement can take many forms. It's plausible that the Yankees could view any interlocking "NY" logo as an infringement (if, say, the Mets' logo was created today). Such a broad view, prohibiting any monogram at all, would be in my opinion bad for the club. We'll see what comes out of this. Global trademark search help to ensure that the mark is already registered or not. It's help to avoid the investment of time and money for that mark which are almost registered.